The South Plains Workforce Development Board dba Workforce Solutions South Plains serves as the lead workforce entity in the region responsible for administering State and federal employment and training programs. The primary functions of the Board are planning, oversight, and evaluation over all workforce development activities in the local workforce development area. 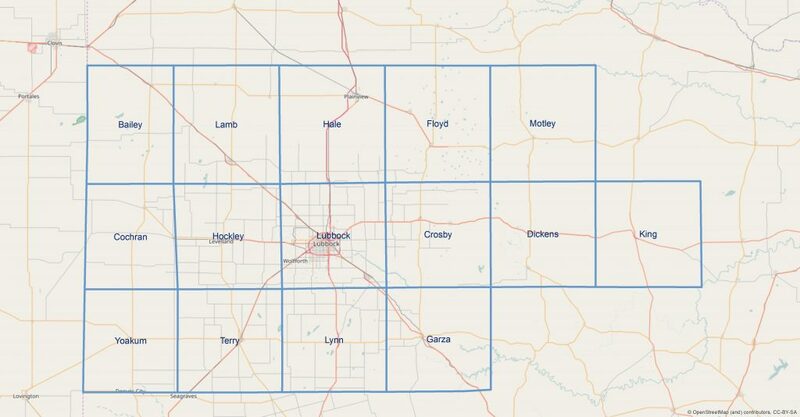 The Board was certified as the Local Workforce Development Board in 1996 to administer workforce development services for the 15-county South Plains WDA Region (hereinafter “Region”) which consists of Bailey, Cochran, Crosby, Dickens, Floyd, Garza, Hale, Hockley, King, Lamb, Lubbock, Lynn, Motley, Terry and Yoakum Counties. The Board is comprised of 35 members with diverse interests and abilities who lead and oversee the workforce development system. Pursuant to Texas Government Code §2308.256, Board members are appointed by the local Chief Elected Officials and reflect the ethnic, gender and geographic diversity of the region. The South Plains Regional Workforce Board envisions a future where the region’s workforce is educated, innovative and highly skilled in areas that match the skill requirements of the region’s employers enabling businesses to become highly productive and to compete successfully in local and global markets. The Board’s mission is to meet the needs of the region’s employers for a highly skilled workforce by educating and preparing workers. Successful fulfillment of the mission will result in a better educated workforce, more competitive employers, increased employment opportunities, higher incomes, a fair rate of return on taxpayer investment. The Board’s core values of individual opportunity, service, responsibility, effectiveness and respect for the dignity of each unique individual serve as the foundation for and guide the work of the Board. Helping people, spending money wisely, being fair in decision-making, and maintaining accountability in the execution of programs and services are guiding principles. The County Judges of the 15 counties that comprise the South Plains Workforce Board Region serve as Chief Elected Officials and govern and manage the South Plains Regional Workforce Board.